The Nullification Crisis of 1832-33 involved state secession and use of force to repel attempts to collect federal customs tariffs. Nullification acquired a different shade of meaning even before the Supreme Court’s Dred Scott decision soon extended the reach of the Fugitive Slave Law north to the Canadian border. By 1860 Southern conservatives were complacently decrying “Nullification”–by which they meant the creation of sanctuary cities where slaves could hide. Local authorities in the North worked only to enforce local and state laws–not to help persecute runaway slaves under odious federal jurisprudence. So why do government school history professors stand by and let charlatans convince the innocent that the Civil War was caused by racial collectivism? Andrew Jackson again addressed the Congress, in January 1833, regarding South Carolina’s virtual secession via a bill outlawing US customs from collecting Tariffs of Abominations. But by making it ” unlawful for any of the constituted authorities, whether of the United States or of the State, to enforce the laws for the payment of duties, and declaring that all judicial proceedings which shall be hereafter had in affirmance of the contracts made with purpose to secure the duties imposed by the said acts are and shall be held utterly null and void,” she has in effect abrogated the judicial tribunals within her limits in this respect, has virtually denied the United States access to the courts established by their own laws, and declared it unlawful for the judges to discharge those duties which they are sworn to perform. …the power of summoning the posse comitatus will compel, under the penalty of fine and imprisonment, every man over the age of 15, and able to travel, to turn out at the call of the sheriff, and with such weapons as may be necessary; and it may justify beating, and even killing, such as may resist. The use of the Posse comitatus is therefore a direct application of force, and can not be otherwise regarded than as the employment of the whole militia force of the county, and in an equally efficient form under a different name. 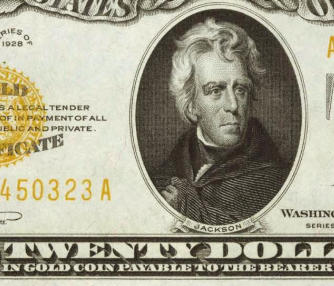 Jackson made it clear that federal troops would put down the insurrection unless Congress, the courts and the Carolina legislature acted to head off the danger. This they did by lowering the “Tariff of Abominations” that had sparked the reaction. Still, all hope of stopping “protective” tariff extortion within the system was doomed thanks to Jackson’s defusing of the situation. Colonial “Acts of Navigation” had necessitated the 1st Revolution in 1776. This revolt led Lord Dunmore to issue an Emancipation Proclamation calling slaves to arms in exchange for freedom long before Lincoln’s similar proclamation. 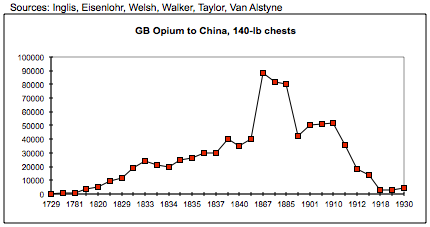 The Opium Wars in which Great Britain attacked Chinese cities to force repeal of the Chinese government’s ban on opium grown in British India came to resumed naval artillery attacks in 1859. At the outset of these wars, in 1837, Britain had withdrawn capital invested in the United States to gird its navy for war. The resulting contraction of capital caused America’s First Great Depression, but to this day it is inexpedient and impolite to even mention this Chinese connection. China was again defeated and a tariff on opium imports was enacted there in January 1860 to pay reparations to her attackers. Despite professed neutrality, the US also landed military forces in China. Cause had again produced effect. Thus, in a failing economy, the Morrill protective tariff was soon being assembled in Congress. It was reported in March 1860, passed on May 10, then went dormant. The South reacted and by September the Secretary of War had quietly facilitated southern seizure of federal weapons and facilities. After the mild and Whiggish Lincoln was elected, with three months to go before taking office, Texans raided armories and commandeered revenue ships, sparking tariff revolt elsewhere. Capital flight and foreign adventures had wrecked the economy, and the Secretary of the Treasury resigned December 10. South Carolina seized a federal fort, customs-house and vessels that same December. In January, with Lincoln’s inauguration still two months away, Georgia seized two federal forts and an arsenal, then commandeered a steamer. Louisiana took over three forts and the arsenal at Baton Rouge as Georgia seized the arsenal at Augusta and a steamer. Then Florida commandeered navy yards and another arsenal. This was what the Civil War was about–customs revenue and crony tariff protection. Meekly disarmed colonial Brazilians had no such possibility, and imperial slavery continued there until after Cleveland’s first term–yet rabble of the looter persuasion do not order their statues torn down or accuse modern Brazilians of racial collectivism. Americana, the Confederate town founded by disaffected Johnny Rebs, holds charming square dances in gray regalia with nary a protest from unreconstructed brown audience members and participants. ALL of them are fed up with carpetbagger looter politicians and their damned taxes! These politicians and their judges keep the Libertarian Party from forming, so locals–forced at gunpoint to vote–cast enough blank ballots to potentially elect libertarian mayors in many major cities. If you want Brazilian or American audiences to understand your theory on the roots of war or what causes economic depressions, you might consider hiring a degreed and accredited translator and interpreter. 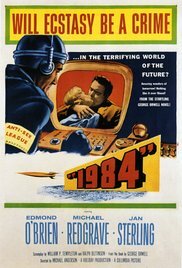 Books like Atlas Shrugged and 1984 aren’t exactly fiction. Their realism stems from the they way they are rooted in true life events. Worried about maniacal Lutherans and Catholics that took over Germany in an extermination pogrom against Jews, Ayn Rand penned her 1941 Letter to Innocent Fifth Columnists warning against passive acceptance of National Socialism. This was soon after her warning in “We the Living” of the altruistic collectivism that had already turned Russia into a slave-powered extermination camp. In the “Fifth Column” story above, communists and socialists overplay their hand wreaking vengeance on fascist 5th columnists shortly before the shoe moved to the other foot, sending Marxist Workers Unification Party volunteer George Orwell fleeing for his life. 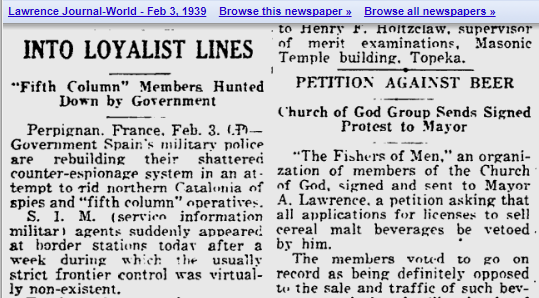 The PETITION AGAINST BEER story bares to view the economy-killing fanaticism voters rejected in favor of FDR in 1932, 1936, 1940 and 1945. In The Fountainhead, heroine Dominique Francon steers a mystical prohibitionist (Mrs Lonsdale) away from hiring architect Howard Roark, to protect his his career from ruin. In the clipping above, mystical fanatics call themselves “The Fishers of Men.” Yevgeny Zamyatin–a Russian novelist and inspiration to George Orwell and the Jefferson Starship–had died in 1937. Twenty years later Ayn Rand herself did a Hitchcock cameo in Atlas Shrugged as “the fishwife”–an individualist writer fishing for the minds of men. If you have additional examples of how the prohibition era–in which fanatical altruist religions turned Russia into slave pen, made light beer a felony narcotic in These States, and rearmed Nazi Germany with Republican economic assistance, drop us a line. Ecological National Socialist candidate Albert Goracle, lost to G. Waffen Bush by three electoral votes in the Y2k election. Had voters in his home state of Tennessee backed his platform–ban electricity, continue asset forfeiture looting, jail hippies and blacks for plants–Gore’s party would have won by 16 electoral votes. The Dems could have had their hands in the till and hacks on the government payroll. Neither the Green nor Libertarian party commanded enough Tennessee spoiler votes to reverse the outcome. Still, Gore blamed Florida for his defeat. Something similar happened to Germany and Austria back before ballots replaced bullets, Germany and its allies (Austria-Hungary, The Ottoman Empire and Bulgaria) lost WWI and blamed Jewish politicians. Thanks to the Jo Nova blog, the pattern of collectivist self deception can be seen in this example, in which I replace a single word with its conceptual equivalent. 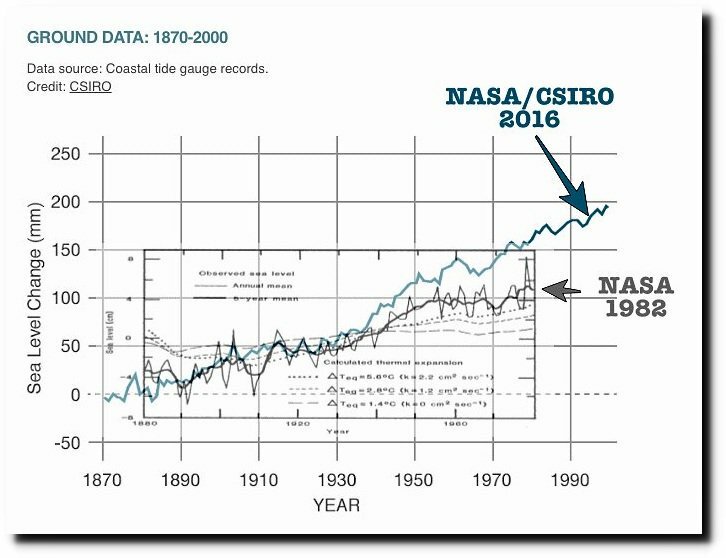 The context is journalist Ross Clark asked The Goracle a technical question about sea level rising versus land mass sinking. If Clark had tried that at an Oswald Mosley rally, he would have been beaten by goons. But the point is that the Econazi mindset is concerned not with facts, but bogeymen and strawmen. This last election had similar planks and a similar outcome. If the Dems had not copied the Green party anti-electricity agenda, and had instead copied the Libertarian party re-legalization plank, they might have beaten God’s Own Prohibitionists. Get in touch for translations of political party platforms, nuclear reactor specifications, energy-related bills before various government assemblies or financial and economic impact of prohibition laws on national economies. From Spanish or into Portuguese & English is my bailiwick. At Orwell’s fictional Ministry of Truth, Winston Smith labored to erase from the newspaper morgue facts inconvenient to The Party and replace them with “rectified” versions. Yet sudden changes in the policies and laws advocated and passed by “the elect”–those better voters ensconced in the Congress–are not news. Those better people are paid $174,000 apiece in annual remuneration for the discerning way in which they direct the initiation of force to the benefit of fellow Party members by whom they are elected. In November 1892, practically 9% of all voters cast ballots for candidates enamored of the “graduated income tax”, plank 2 of the Communist Manifesto. In just over a year the income tax neither entrenched kleptocracy party wanted became law. It wouldn’t do for the Great Unwashed to realize that a vote for its own party was what changed the law. Therefore no History book in any government school calls attention to that timely succession of events, much less to the economic collapse that caused the Supreme Court to strike down that tax law the following year. Government subsidies today call for ex-post-facto rectification of sea level measurement data. The largest changes are reported by Communist China, Ecological National Socialist Brazil and three primitive islands in Oceania, home to fewer than a million inhabitants frightened into a state of fear by pseudoscientific documendacities. But we’ve also seen how 1.4% of the total vote, when cast by religious fanatics in 11 successive campaigns, added a Mohammedan Sharia law ban on alcohol to the Constitution. Religious racial collectivists formed Germanic-style parties to compete with republicans even after Prohibition enforcement caused the Crash and Depression and made that party the hateful thing it is today. Constant draining of spoiler votes by socialist, socialist-labor and communist parties had a similar affect in seducing the Democratic party away from the salutary influence exerted on it by the Liberal Party during the campaign of 1932, when the economy collapsed entirely. Small wonder then that a government once dedicated to the protection of individual rights was changed–by persistent casting of looter spoiler votes by tiny but violent minorities–and mutated into a truthless looter kleptocracy. We’ve seen where such spoiler votes took Russia, Germany, China and half of Korea. Since 1972, however, libertarian parties have offered voters a peaceful, rights-respecting path back to freedom, and now function in at least 21 countries. Will 9% of US voters avail themselves of the opportunity to change history? Possibly. Orwell wrote: “The trouble is that if you lie to people, their reaction is all the more violent when the truth leaks out, as it is apt to do in the end.” –Through a Glass, Rosily, (Collected… V.4 p 35). If 9%–about a third of Americans able to frame concepts and make comparisons–deign to cast their vote for rights and reality, looter altruism may give way to individual rights just as the communism of pelf gave way to union goon violence and communist taxation in 1894, and ecological nationalsocialism in 2008. Thirteen Coast Guards were suspended June 2, ostensibly for accepting bribes to overlook smuggling of “liquor” from ocean liners, but that story had been suppressed for over 2 months and had developed an odor. In Buffalo, June 4 was opening day for a conference between U.S. and Canadian customs officials. The meeting was organized by Assistant Treasury Secretary Seymour Lowman. This is the same Lowman, who replaced Lincoln Andrews after Andrews was forced by Elmer Irey – the heavy-artillery agent – to resign. Placed in charge of customs, Lowman’s specialties included narcotics smuggling and dismissing “dirty” agents. When newsmen finally found out about this meeting nearly 3 weeks later, Secretary Andrew Mellon assured them that no railroad men had been threatened and that it “had nothing to do with prohibition or enforcement of the Volstead act.” This naturally raised suspicions about drugs, suspicions reinforced when 6 persons were shot on the floor of the Yugoslav House of Representatives. Yugoslavia was a major exporter of medical-grade opium and was reeling from widespread riots. This news hit reporters even as they tried to pry a scoop on the secret meeting from Secretary Mellon. In April 1921, the Literary Digest had run an unsigned article “Is Prohibition Making Drug Fiends?” The article raised troubling questions. The State Department understood perfectly well by 1922 that war-fed output and prohibition-enhanced smuggling facilities were thwarting all efforts at narcotics control. Repeal advocate Franklin Fabian speculated in a 1922 book that prohibition might have something to do with U.S. narcotics consumption being 6 or 7 times as high as in most European nations. The very suggestion was hotly denied by prohibitionist Herman Feldman, who also denied that figures describing the true situation could be had from any source. Feldman relied on the usual apocrypha and anecdotes to shore up his beliefs, and shrugged off any hard data on arrests and convictions as proving only that enforcement was improving. Feldman’s source, a Dr. Kolb, argued that alcohol was actually a sort of gateway drug which led to narcotics use. Nowhere does Feldman explain why no narcotics planks figured in U.S. political party platforms before 1924. Yet that year the Democrats—eager, of course, to exclude Asian immigration—suddenly began railing in their platform against “the spreading of heroin addiction among the youth,” while the Prohibition Party merely blinked and stood mute on the issue. The sight of prisons steadily filling up with “narcotics” convicts led the Democratic Platform Committee and Herman Feldman to diametrically opposite conclusions as to why. Yet the wisdom of the Harrison Act stood unchallenged even after 537 pounds of heroin and morphine were discovered in Brooklyn by New York Deputy Chief Inspector Louis J. Valentine’s staff in 1927—the year of the recent “Tong War” on U.S. soil and civil turmoil on Chinese soil. Not only had alcohol prohibition increased U.S. demand for heroin and morphine, but the well-developed channels for alcohol smuggling served even better as conduits for smuggling drugs. It was probably easier to bribe a customs agent to look the other way if the agent believed that rum, not heroin, was being smuggled in. Does your company ever need to come to terms with pharmaceutical suppliers south of the border? Why not hire an interpreter familiar with the history and background of many foreign products?